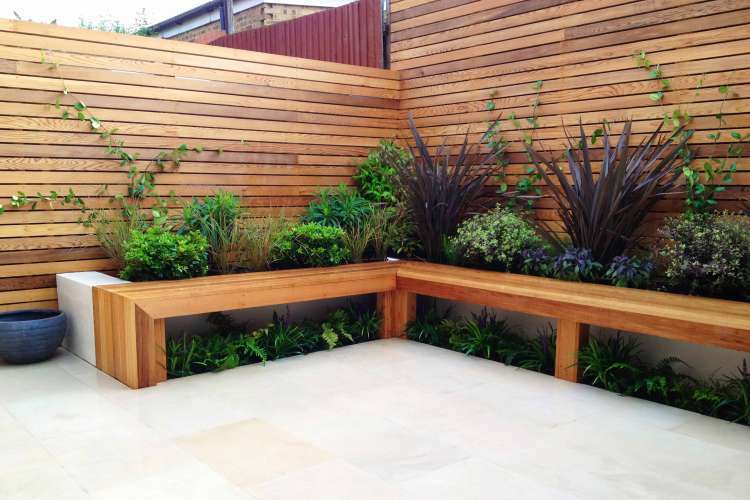 This is a typical sized urban rear garden designed for clients with children in their mid teens. 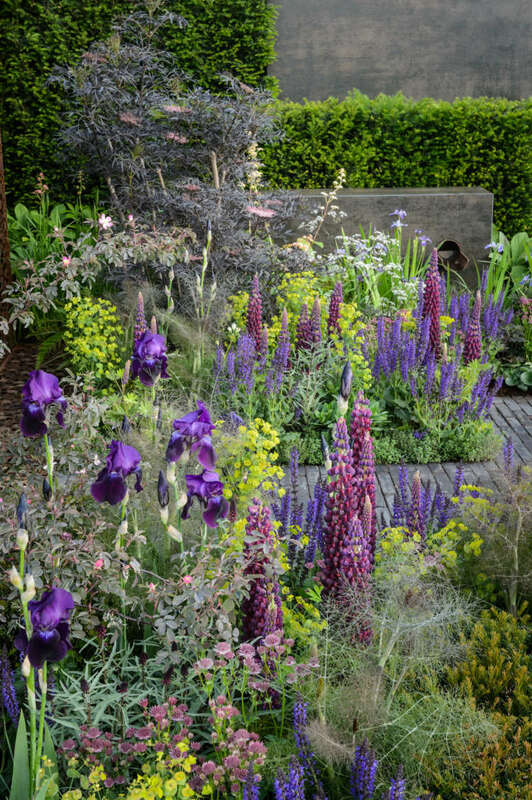 The garden is overlooked and required solutions to provide privacy whilst not blocking light into the garden. 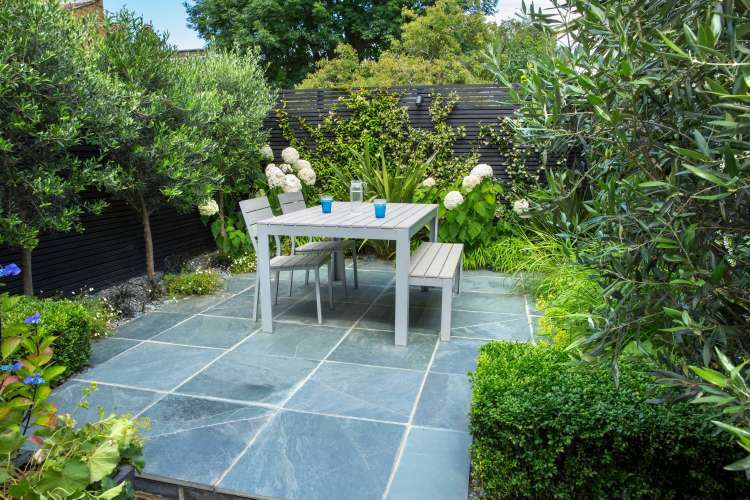 The bare lawn needed to be replaced with a permeable surface whilst looking visually attractive and providing a low maintenance surface to accommodate a dining area and outdoor kitchen. 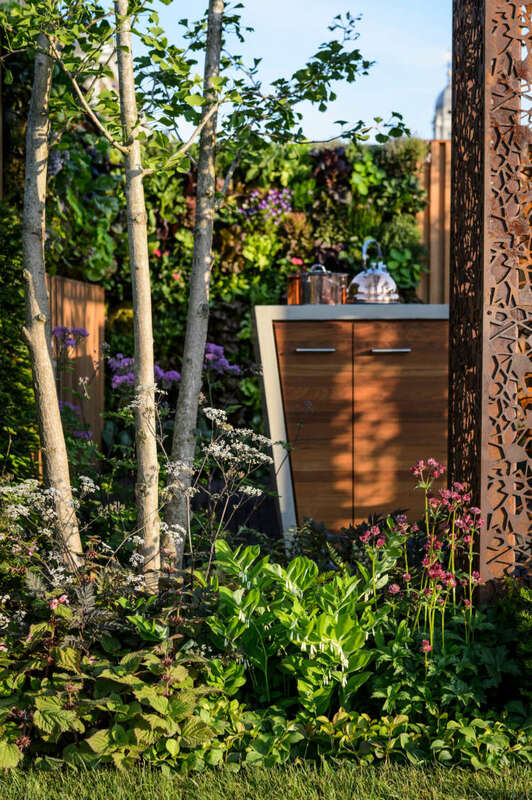 The family wanted the opportunity to grow their own salad, fruit and veg in a compact and low maintenance format. 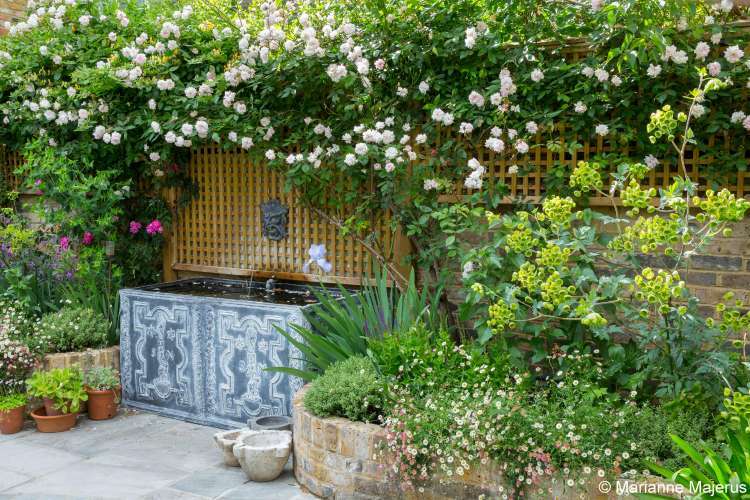 Viewing the garden from the glass doors at the rear of the property, a water feature, evergreen planting and seasonal colour provide year round interest. 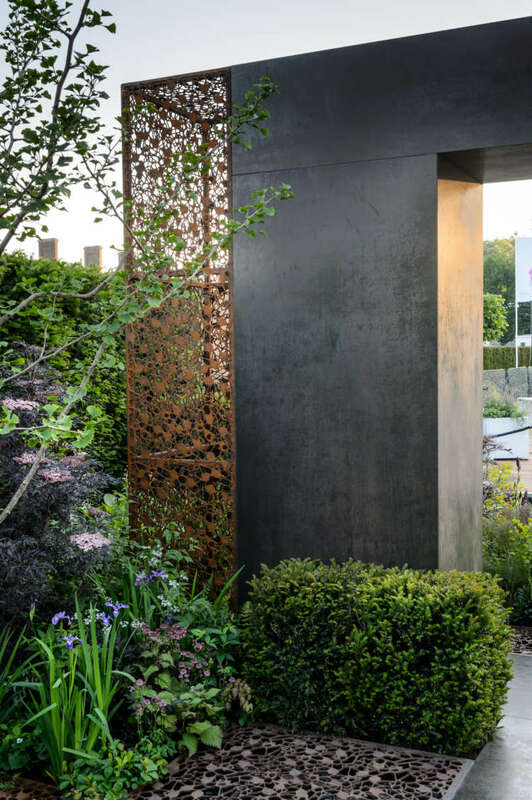 An oversized steel effect arch provides framed views and divides the space, whilst affording privacy to the open plan kitchen from overlooking loft conversion windows and balconies. 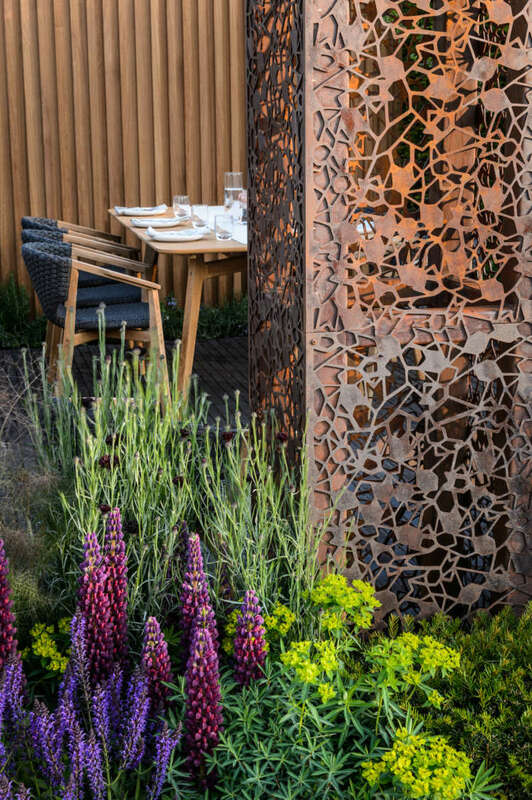 Handmade clay bricks provide permeable paving and laser cut Corten steel has been used to create a cantilever pergola structure, providing further privacy and intricate shadows throughout the dining area. 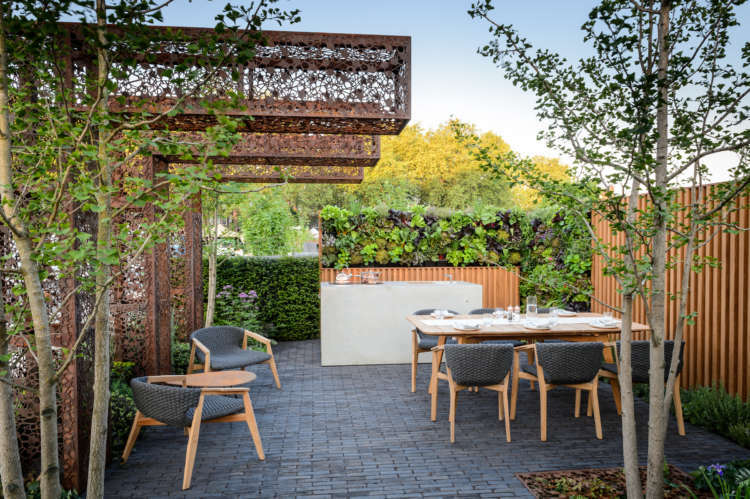 A contemporary concrete kitchen and edible living wall complete the practical outdoor room and allow space to grow your own in a manageable format. 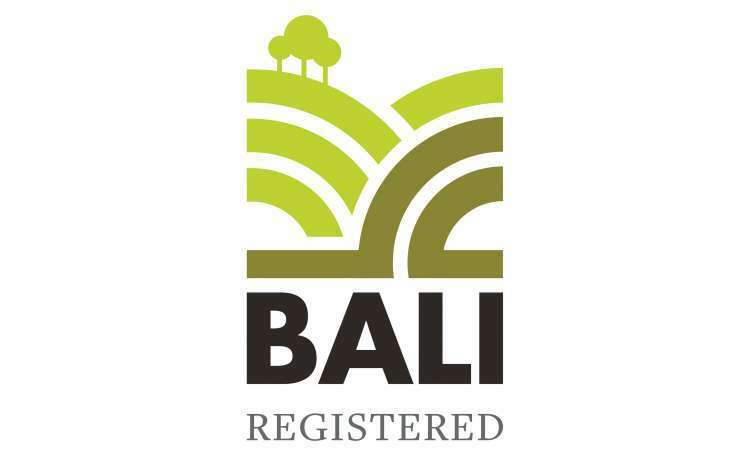 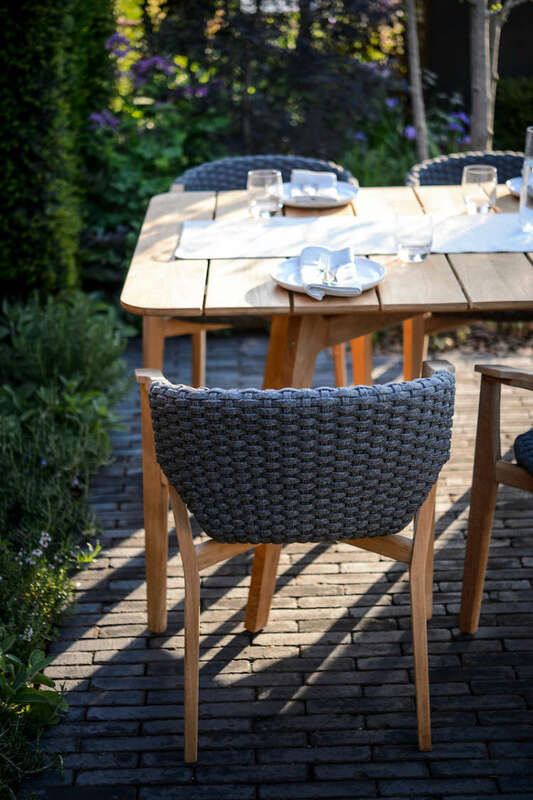 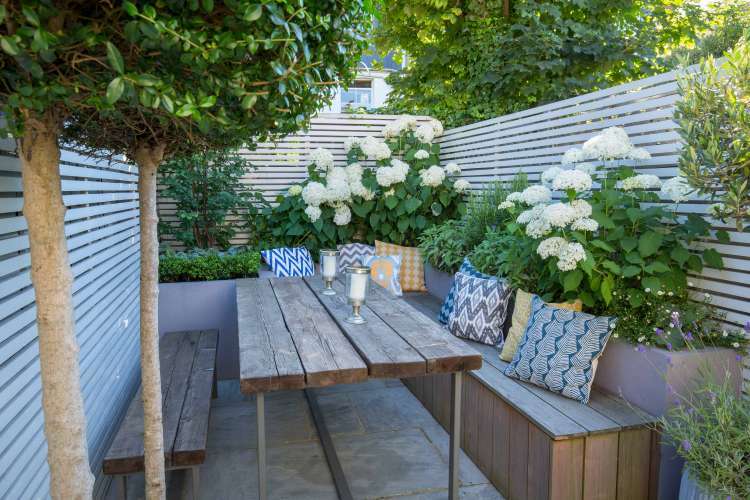 The garden design has created an intimate yet light urban living space outdoors, with lounge and dining furniture to provide a place to relax and an area for family and friends to come together, cook and dine outside. 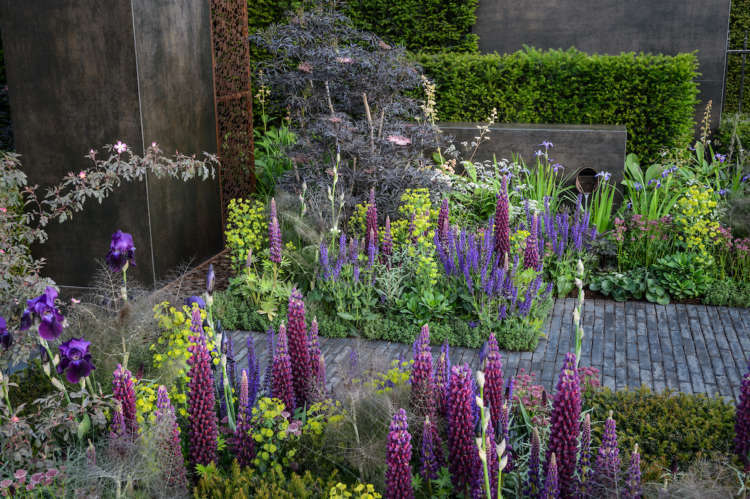 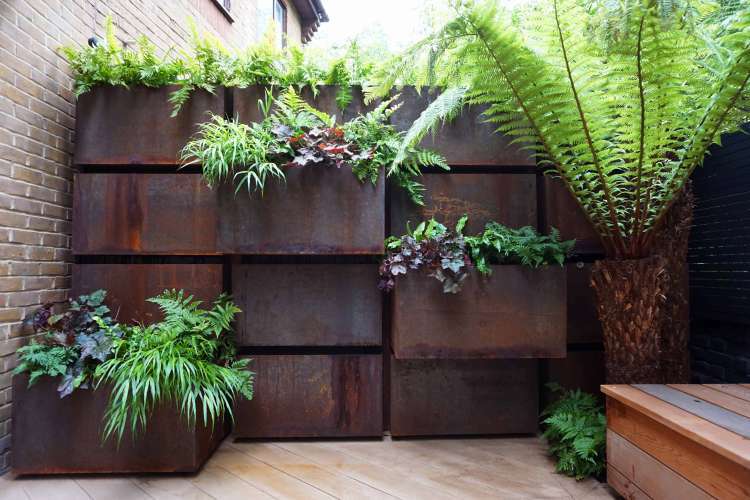 Sumptuous deep and velvety planting gives a luxurious finish to the scheme and softens the hard landscape features, with a range of heights using ornate and colourful foliage. 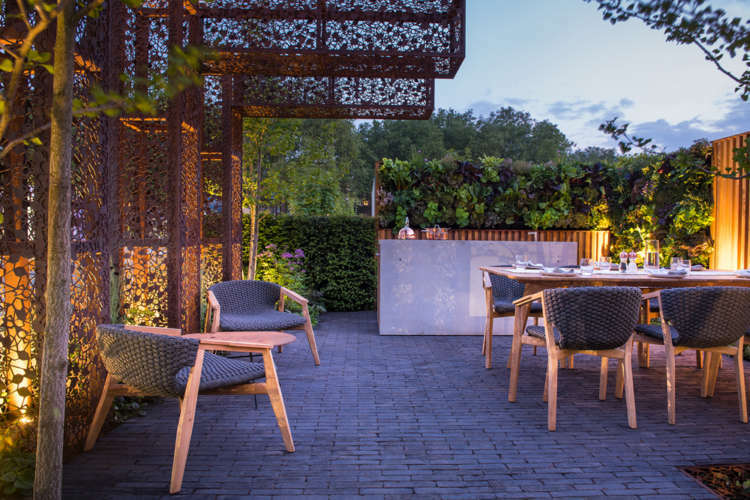 The garden is brought alive at night with the use of lighting that casts shadows and adds a warm glow to the detail finishes in the space. 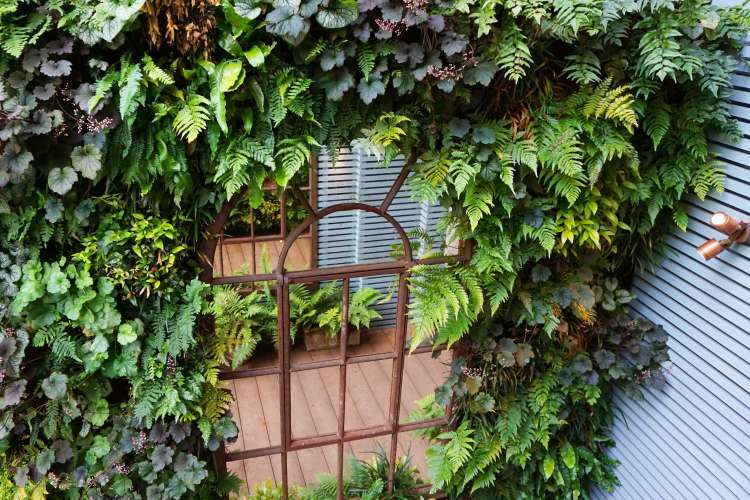 A garden you want to live in!